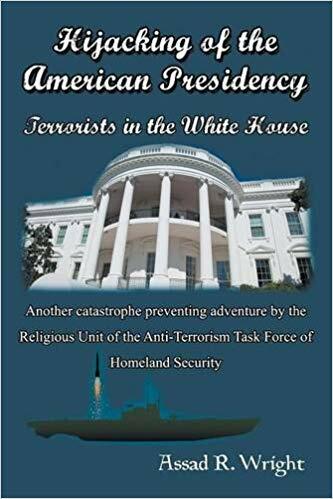 Action and suspense fiction readers are surely in for a treat as “Hijacking of the American Presidency: Terrorists in the White House” packs a punch of thrill and adventure along with exciting twists and turns through the chapters of this stunning novel. This masterful tale is surely something that will keep readers on the edge of their seats as they discover how the story unfolds. Assad R. Wright definitely pulls out all the stops as he presents his thrilling, political, and action-filled novel to the public. He surely brings all the elements that make up for an exciting read: the right amount adventure and suspense from start to finish. Because of this, this masterful tale is surely something that will keep readers on the edge of their seats as they discover how the story unfolds. In “Highjacking of the American Presidency,” a national threat is in the air as a religious, fanatical group threatens to put its own desired leader in the White House. Seeking for this kind of control gives them the ability to launch a preemptive nuclear strike on certain countries that are believed to be America’s future enemies. While the group fearlessly works to accomplish their plan to overthrow the government and the Constitution, one thing is certain: they are not afraid to kill anyone who gets in their way. As the government finds ways to put a stop to this threat, they seek the help of the religious unit of the Department of Homeland Security Anti-Terrorism Task Force. However, will they ever save the country and the world before it’s too late? The answers lie within the pages of this action-novel. Paperback copies are available on Amazon: https://www.amazon.com/Hijacking-American-Presidency-Terrorists-White/dp/1681813866. Avid thriller and suspense readers can also rejoice as “Hijacking of the American Presidency” joins the much-anticipated 2018 Miami Book Fair International. Set to run from November 16 to 18, the nation’s finest literary festival will showcase thousands of books, collectibles, and a whole lot of fun. His book signing session is slated to unfold on November 17, 2018 at 2:00 – 3:00pm. Therefore, it’s something that’s worth looking out for.